In their career, Lee and Elaine have shared the stage with George Jones, Lady Antebellum, Jason Aldean, John Rich, Darryl Worley, Janie Fricke, The Oak Ridge Boys and Chris Young. This year to date, they have over 150 concerts booked. They were recently featured in the PBS television special Pa's Fiddle: Charles Ingalls, American Fiddler and have hosted seven episodes of the Bluegrass Mountains television show. THE ROYS are in-demand guests who have enjoyed high-profile TV appearances that have included performances on Fox & Friends, Daytime, The Daily Buzz, ABC's What's The Buzz, GAC's Headline Country, RFD's Campfire Café, Larry's Country Diner, Praise The Lord with Jason Crabb and more. 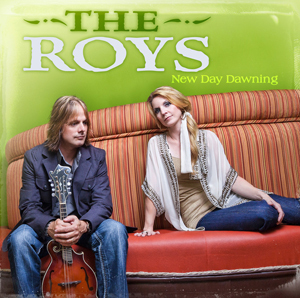 THE ROYS' newest single, "Still Standing," from their upcoming (August 28 issue) Rural Rhythm Records' CD, NEW DAY DAWNING, is already drawing praise from industry and fans alike. The duo's first CD for the label, LONESOME WHISTLE, earned them a spot on BILLBOARD'S Top 50 Bluegrass Albums of 2011 Chart and gave them two hit singles: "Coal Minin' Man" and "Trailblazer." In addition to chart success, the siblings have also received accolades from their peers and were previously honored with the ICM's Duo of the Year award in 2010 and 2009. Lee and Elaine have toured extensively throughout the U.S. and Canada and made their debut in Australia this past January. This year INSIDE EDITION correspondent Megan Alexander and GAC HEADLINE COUNTRY host Storme Warren will return to co-host the Awards show at the Schermerhorn Symphony Center. Tickets for the ICM Faith, Family & Country™ 20th Anniversary Awards Week are on sale now. 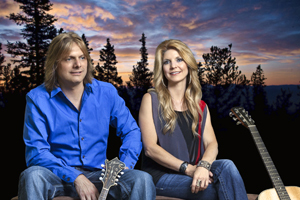 For all the latest news on Lee and Elaine, click www.theroysonline.com. Fans can pre-order their copy of NEW DAY DAWNING now from AMAZON.